Ceramic antenna + IPEX antenna. 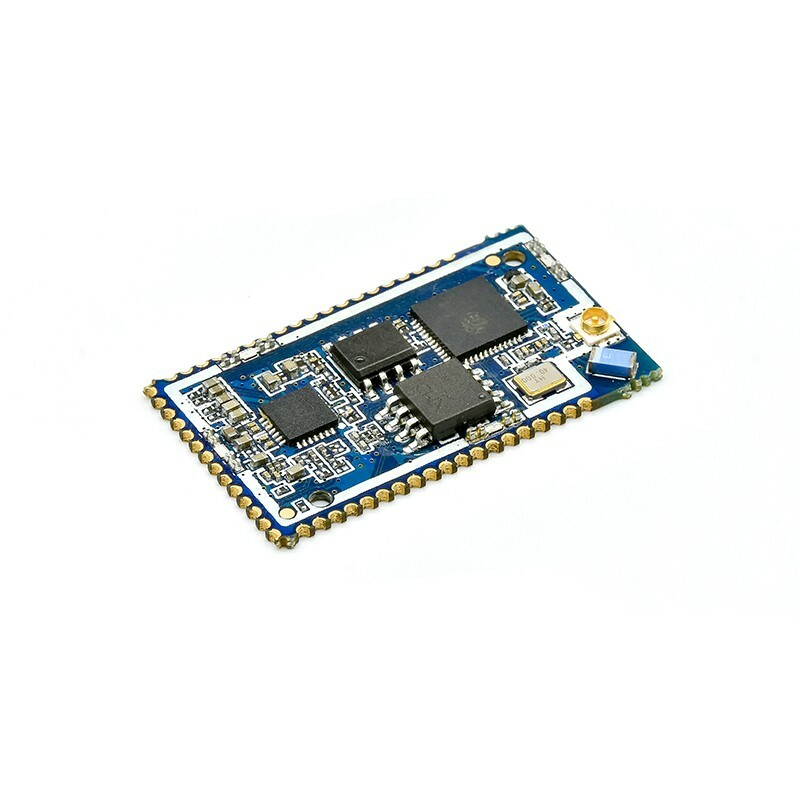 Oolite - ESP32AUDIO is a general-purpose Wi-Fi + BT + BLE+Audio module that is powerful and widely used. 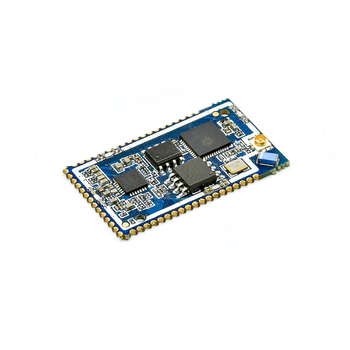 It can be used for low-power sensor networks and extremely demanding tasks. 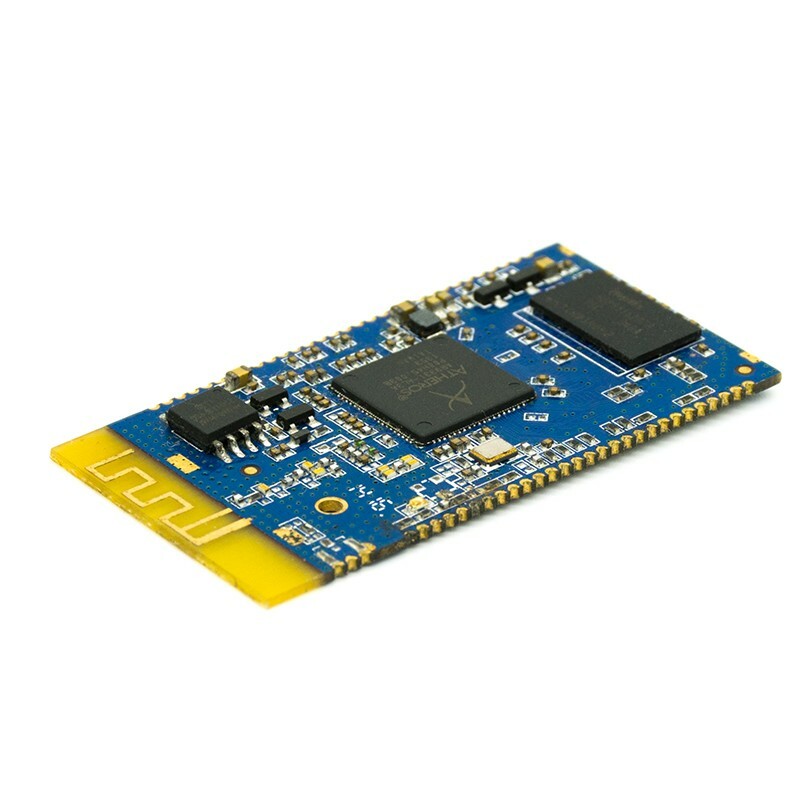 This module is mainly aimed at the language and sound interactive market, which satisfies the demand for products with both WiFi / BT/BLE functions and audio functions. 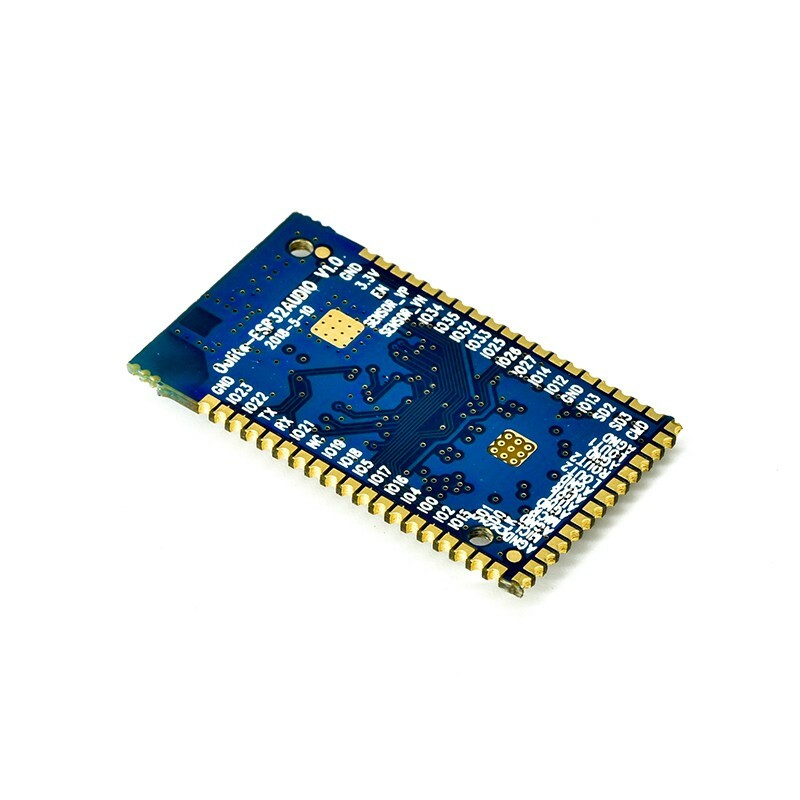 The Oolite-ESP32AUDIO module master chips are ESP32-D0WDQ6. The ceramic antenna + IPEX antenna is used. The supported data transmission rate is as high as 150 Mbps. 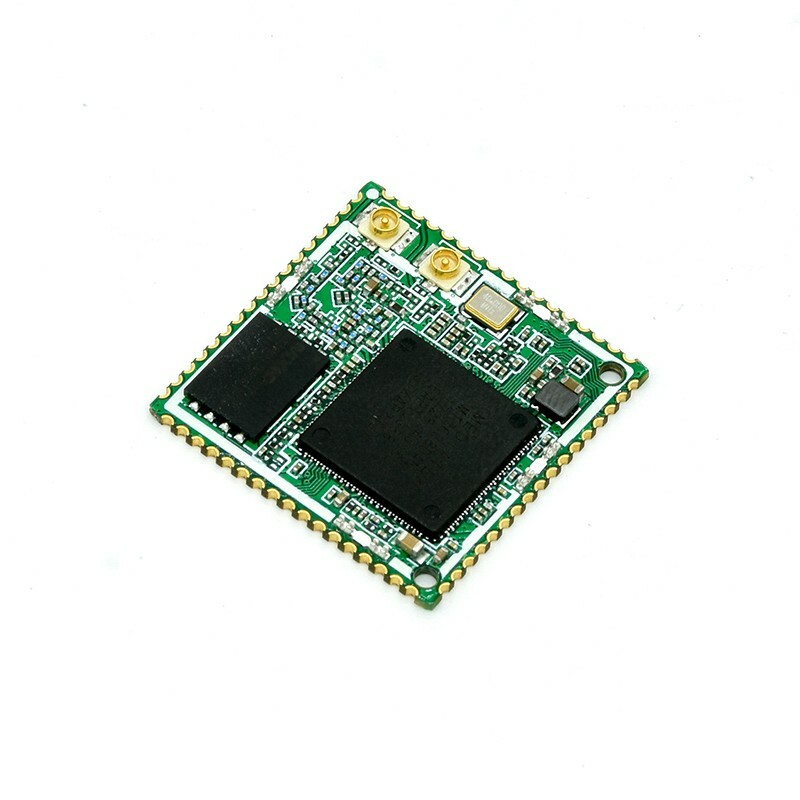 The antenna output power can reach 20.5 dBm, which can achieve the maximum range of wireless communications.This module integrates traditional Bluetooth, low-power Bluetooth and Wi-Fi and has a wide range of uses: supporting multiple mainstream compression and lossless audio formats, supporting multiple audio input, supporting various wireless standards, and supporting rich peripherals., to help achieve product differentiation characteristics, It is suitable for the development of near-field and far-field speech recognition applications.Therefore, this chip has industry-leading technical specifications and performs well in terms of high integration, wireless transmission distance, power consumption, and network connectivity. WiFi: 802.11 n (2.4 GHz)，speed up to 150 Mbps. Ethernet Port : Ethernet MAC interface with dedicated DMA, supporting IEEE 1588. 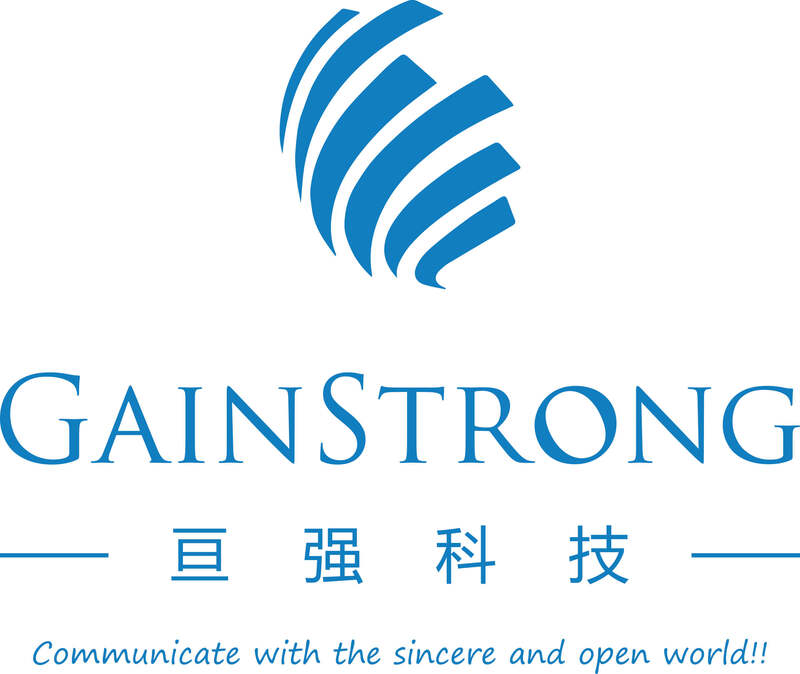 GainStrong Industry Co.,Ltd is was established in 2009. 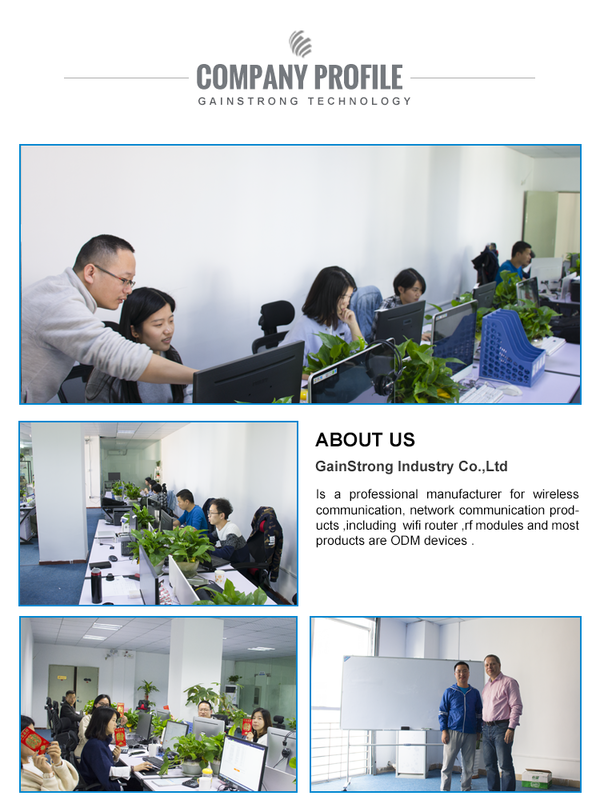 It is a professional R&D and manufacturer of wireless network communications. 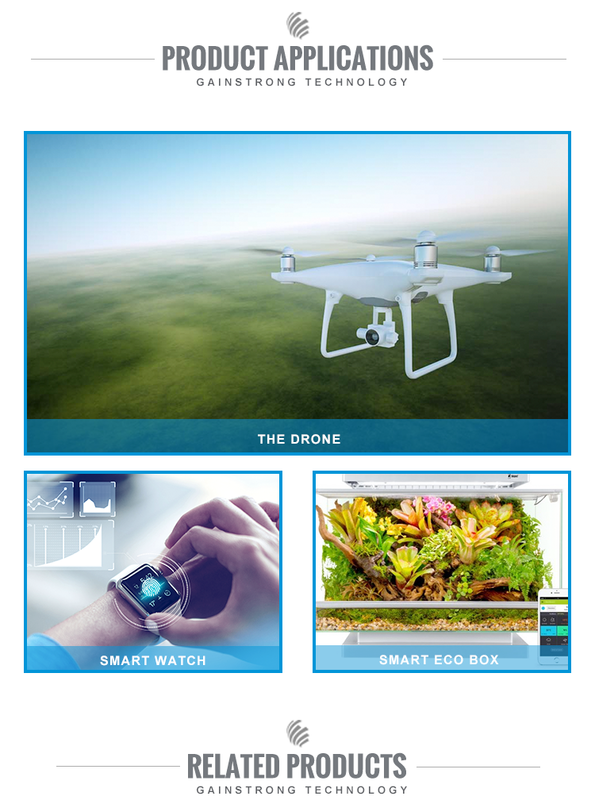 And also is a leader in IIoT industrial IOT technology and get the title of a national high-tech enterprise in China. 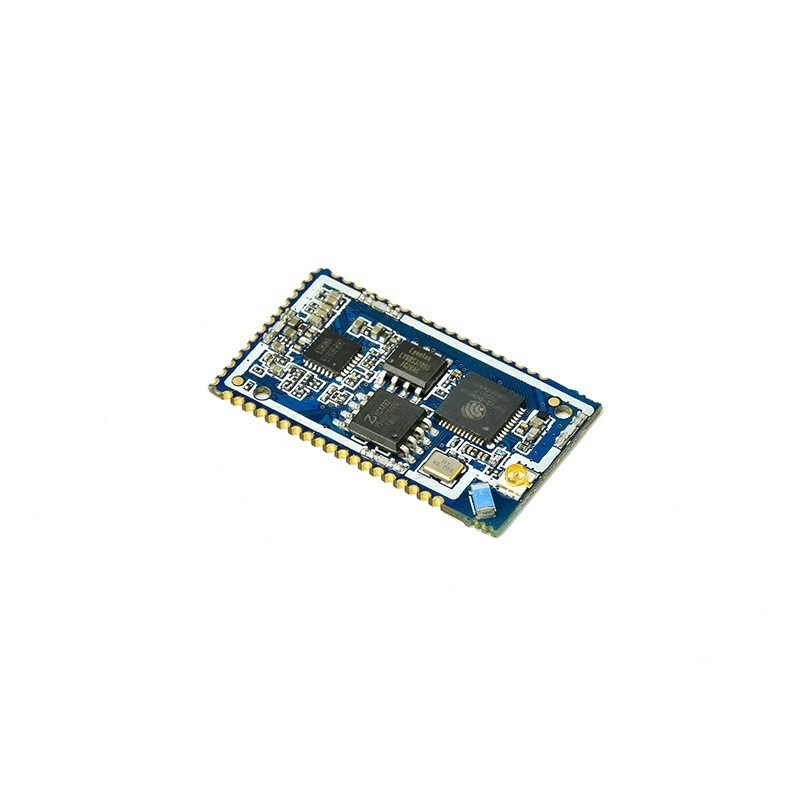 Our company's products include smart wifi routers, wireless RF modules, GPS modules, IT equipment and so on.Those are widely used in domestic and foreign enterprises and industrial enterprises, home smart home wireless communications and other fields. The company's products have many independent intellectual property rights. 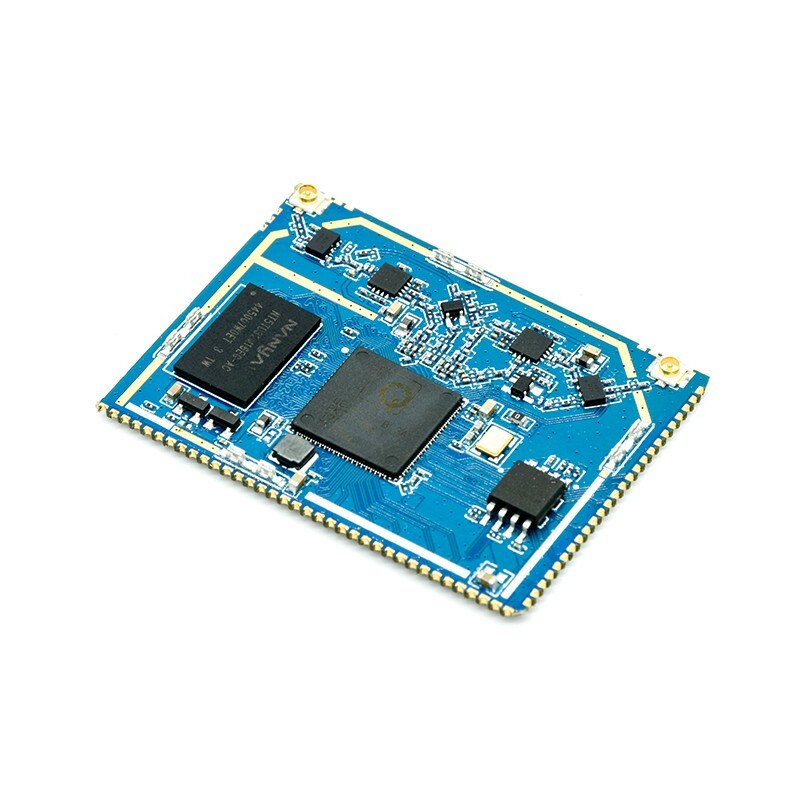 Our company has wealth of experience in providing ODM R&D design and OEM manufacturing services to global customers. 1.Can we get a lower price? Any Discount? Yes,price is not a problem,everything could be negotiated based on the quantity. Yes, GAINSTRONG have strong ability to offer customers ODM&OEM products of highest quality. And it will requirement about your quantity. 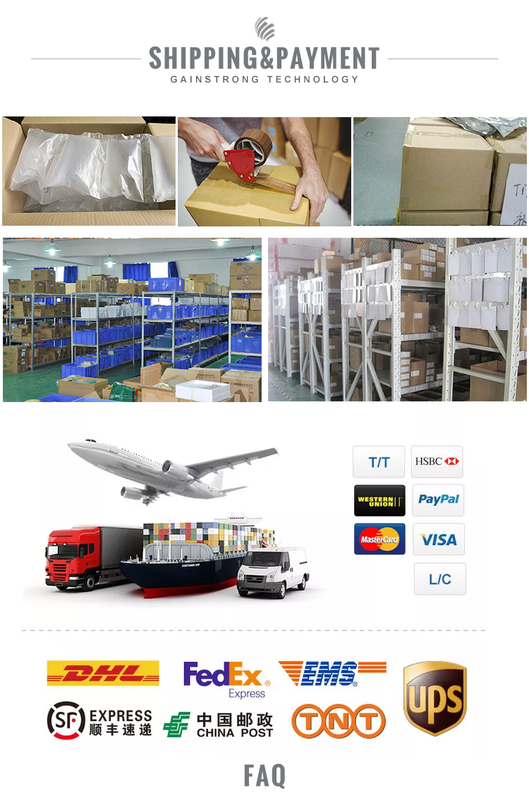 3.For Trade Terms,such as payment and leadtime.